What does an All County Property Management Franchise Cost? All County® franchises offer full-service residential property management services, including tenant screening and placement, maintenance coordination, rent collection, and lease renewal. All County® franchises are rewarded with monthly recurring revenue streams based on these property management services. Tenants will come and go, but your property management contracts can be with you for many years, providing you with great financial rewards each and every month. No need to start all over obtaining new clients every week or every month! Open All County Property Management in any of these available states: AL, AK, AZ, AR, CA, CO, CT, DE, FL, GA, HI, ID, IL, IN, IA, KS, KY, LA, ME, MD, MA, MI, MN, MS, MO, MT, NE, NV, NH, NJ, NM, NC, ND, OH, OK, OR, PA, RI, SC, SD, TN, TX, UT, VT, VA, WA, WV, WY, DC. The All County® Property Management Proven Track Record! For more details about the tremendous financial performance of the All County® Property Management franchises, please fill out the contact form on this website! 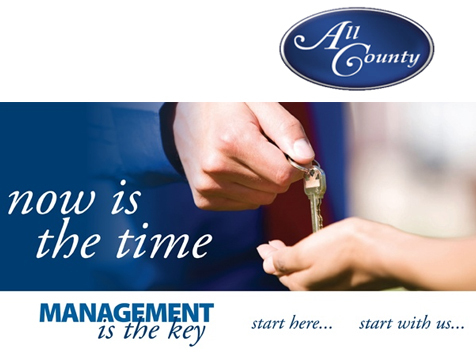 All County® franchise owners can obtain annual property management contracts that renew automatically every year, and they can scale their businesses and delegate the day-to-day property management tasks to their property managers, whom they hire to interact with the tenants and rental property owners. All County® franchise owners can scale their businesses and grow themselves out of a job because their property managers take care of the clients and properties. This enables All County® franchise owners the freedom to set their own schedules, and their offices are only open during regular business hours—not evenings and weekends! All County® has spent the last two decades refining its systems, from state of the art software to an interactive website. 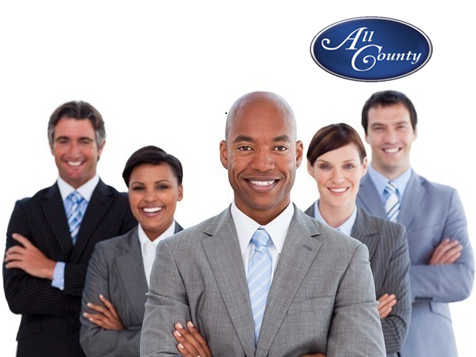 The All County® proven business model will give you a competitive advantage and secure your future. No need to spend tens of thousands of dollars and suffer through years of hassle recreating the wheel when it comes to starting and growing your property management business! The long-term residential property management industry is one of the most stable and growing industries in the nation. Approximately one-third of all housing in the United States are rentals; that means that tens of millions of residences across the country are occupied by renters that need our services. When other industries are experiencing economic slowdowns, the property management industry continues to record solid growth. Unlike other real estate sales services, property management offers a long-term residual base — making sure you get paid over and over again every month when the rent is collected. With over two decades of property management experience and a proven track record in the property management industry, All County® gives you the knowledge and support to achieve your financial and personal goals. You’ll enjoy a rewarding role in managing and protecting your clients’ rental properties. 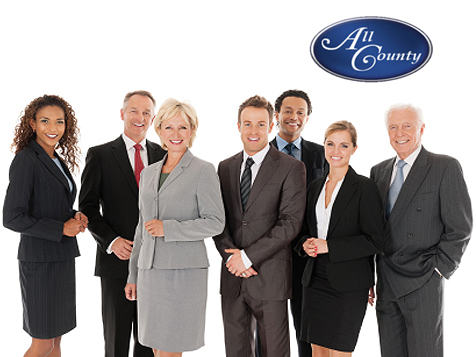 Leverage the 25+ years of experience that All County® has in the industry to help you grow rapidly and add new clients!